Facebook is unanimously the number one social networking service in the world, and rightfully so, it’s also the king when it comes to social networking apps too – that’s hardly a surprise, right? Although many of us would easily fathom this to be true, we’re actually more curious to know how many Facebook users out there actually access their accounts through a mobile app. Interestingly enough, we’re now being made aware of a figure – and it’s rather very telling in making us believe how Facebook is deeply intertwined in our daily lives. 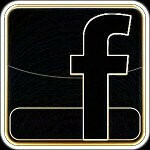 Apparently, over the Christmas holiday, the number of Facebook mobile app users blistered through the 300 million mark. Indeed, that’s a remarkable figure, but there are still plenty of people holding out from using mobile apps to access their Facebook accounts. 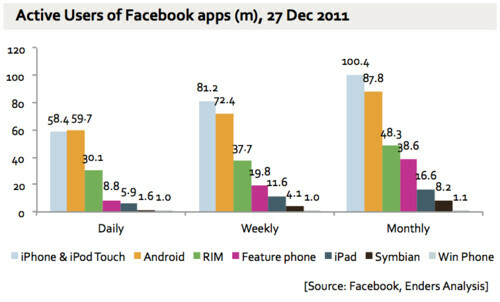 Looking at the chart, it shows that people are using iOS devices more to access Facebook – though, Android comes in at a very close second in the overall monthly usage. Even more surprising is the share taken up by RIM, which goes to show that many people are still relying on their trusty BlackBerry smartphones. When you think about the constant updates that we see with the various mobile Facebook apps out there, many more people are relying on it thanks to its usefulness in keeping us connected with friends.